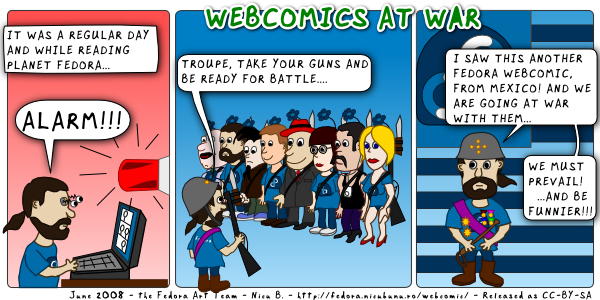 I really appreciate your linkback to my site, and loved the comic. Been a huge fan of your artwork for some time now. I appreciate at your comic that it is planed, with an evolving story, with continuity... I do exactly the opposite: create something on the spot, sometime just in the day I am supposed to go publishing, some time a bit in advance. I also appreciate you have a team, with someone taking charge of the story and someone working of the graphics. I imagine you have a lot of fun working together.